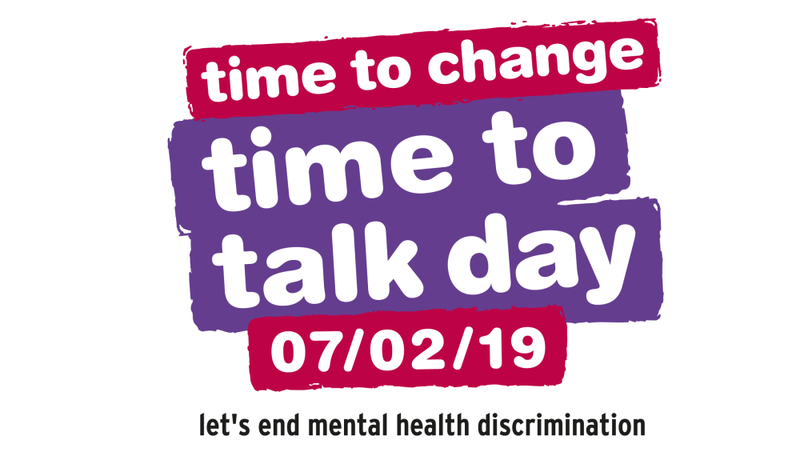 It’s Time to Talk Day! ……But are you ready to talk? Talking about mental health is not easy. But starting a conversation doesn’t have to be awkward. And being there for someone can make a huge difference. In an increasingly technology driven world how can we start a conversation about mental health and help someone? There is no right way to talk about mental health, but these tips will guide you to make sure you’re approaching it in a helpful way. Sometimes, just being a listening ear and having a conversation can make some one’s day. 1. Ask a question then listen. The listening is the important bit. Give them some space. Let them know you are trying to understand. Ask open questions. One of the tendencies when people are not feeling great is to clam up; open questions will help. Don’t judge. Don’t have or share your opinion. Basically be there as a comforting ear. Ask them how it feels and listen to their reply. It’s easier to talk face to face. Computers and screens do have their place, but if you really want to connect there is nothing better than face to face. You can get a feel for the way they feel, read body language and breathing. Finding the right time and place is so important. They need to feel comfortable if they are going to open up to you and share their feelings. There is no such thing as the ‘perfect place’ so don’t be put off trying to find somewhere suitable. It is hard seeing someone you care about having a difficult time, but resist the urge to offer quick fixes. Remember; the opportunity simply to talk can be a massive relief in itself. Having someone who is non-judgemental, a listening ear, a shoulder to cry on is, in itself, a massive help. Yes, there are countless tools and techniques that a trained therapist could introduce, but you need training and skill in how to use these, and you are not a therapist. Listening is your best tool. When someone has a mental health problem, they feel anxious, worried and stressed. But they are still the same person they were before. So, when you are comforting, listening, and helping, don’t treat them as being any different. All they want is acknowledgement and reassurance that they are the same person; they want your care. Keep reassuring them. Keep reminding them that everyone is doing the best they can with what they have available, and that their current behaviour is for a reason – they are not broken. When a friend or loved one opens up about mental health, they don’t want to be treated differently. If you want to support them, keep it simple and do the things you would normally do. No matter how hard you try, some people may not be ready to talk about what they’re going through. That’s fine! Sometimes it’s okay not to be in a good place. The fact you have tried to talk to them shows you care. People ‘open up’ at the right time for them, and to the person who is ‘right’ for them. Be patient. Be attentive. Be there. When people are suffering with some form of mental health issue, it’s the way it makes them feel that causes them pain. Get them to talk to a good, well-trained therapist. That therapist can help to remove the pain and help them feel good about themselves again. If you would like to learn more or advice on how best to deal with issues of this nature please get in touch with Rob who is happy to help.